Bulgaria Air is the national airline carrier of Bulgaria with its main base located at Sofia, the capital city (main hubs at Sofia International Airport and Varna Airport). Founded in 2002, the airline company is owned by Balkan Hemus Group AG and has flight services to 33 destinations in 21 countries throughout Western Europe, Czech Republic, Israel and Russia. Hemus Air and Bulgaria Air have begun with their code share agreement on the Sofia-Berlin Tegel route and has further integrate both their schedules and operations in 2007. 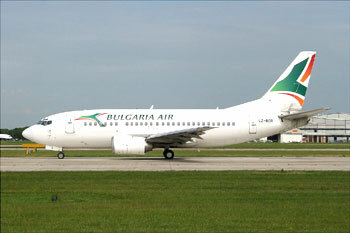 Bulgaria Air operates scheduled international and domestic flight services to worldwide cities below. 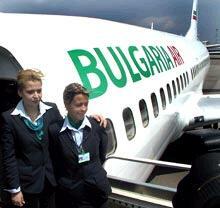 Bulgaria Air Flights To Airports Worldwide.